Two-thirds of employers (67 percent) back the introduction of a new right for agency workers and zero-hours contract workers to request a stable contract, according to the Chartered Institute of Personnel and Development. The findings, which form part of the CIPD’s response to the Government’s consultation on the Taylor Review of Modern Working Practices, are based on a survey of 1,000 employers. The survey found that 67 percent of respondents said they support the right to request a stable contract, which would potentially allow agency workers to request a permanent contract of employment and zero-hours contract workers to request regular or guaranteed hours.The CIPD believes the right to request should be available to people who have 12 months of continuous service with one organisation, a suggestion supported by 41 percent of employers. 32 percent of respondents supported a period of at least six months and 20 percent were in favour of at least three months. 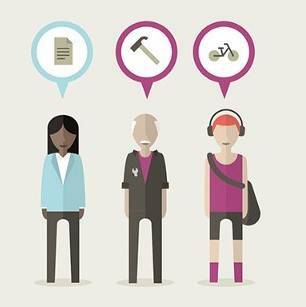 The CIPD response also supports the provision of non-statutory guidance for employers on employment status, as well as more and better information to workers about their employment rights. In addition, and to tackle a culture of non-payment of employment tribunal awards by too many employers who have breached employment law, it recommends that the Government goes further to improve state enforcement of workers’ employment rights. This could include a shift to the state collecting the award on behalf of the individual and the money owed increasing if unpaid, just as it does in the case an unpaid parking ticket. Ben Willmott, Head of Public Policy at the CIPD, said: “The main practical challenge the Government faces around employment status is helping employers and individuals understand the existing law and make informed choices that best suit their circumstances. Employers agree that more needs to be done to help them and their people understand the rights and obligations attached to whether someone is an employee, worker or self-employed, and it’s imperative that the Government listens.